Tom Platz was a bodybuilding badass in the 1980s! Tom Platz was a High Intensity Training BEAST back in the '80s. He was a true contender for the biggest bodybuilding prize of all – the Mr. Olympia. He came close a couple times but never won. Many suggest it was because his legs were overdeveloped, which left his massive upper body out of balance. I think his reputation preceded him into competitions. By this I mean that judges had preconceived notions of this imbalance that no longer existed. In short, Platz kept his massive, awesome leg development and built up his upper body to epic proportions. While reviewing information this morning, I came across this current video of Platz. In it, Tom talks about his past, the 1981 Mr. O, his mindset, and how he was so focused he didn't even know who was on the stage with him! Drinking soda will kill your gains IF it doesn't kill YOU first! andizzle asked: I am a pretty small 16 year old guy and I am really wanting to gain some weight and some muscle. I don't have an exercise machine just a bench press. I have been working out with push ups and curls for awhile now and it doesn't seem to be doing much good. I do drink a lot of soda and was wondering if it could be doing more damage than I think it is. I'm looking for some exercises that are really effective without a machine and was wondering if the soda i drink can be doing more damage than I think. Also what kinds of foods to eat and what to replace the soda with. My answer: Read up, man! Go to the home page (Build Muscle, Lose Fat) and just start reading. There's a wealth of information there. And cut the soda – it's nothing but empty calories. There is zero nutritional value in soda. And the high fructose corn syrup will kill you, your metabolism, your kidneys, and your gains. Plus, it will make you fat-skinny. Eggs are the perfect muscle-building food: They're protein-dense, promote fat loss, and the bad cholesterol image they've been saddled with was completely overblown! Eggs offer the most complete source of protein from food (as opposed to supplements); in fact, they're the yardstick that all other foods fail miserably at measuring up to. The “biological value” (BV) of the egg is 100 on a scale of 1 to 100. Cow's milk, for example, comes in at 91 while beef comes in at 80 (wikipedia). On a side note, whey protein isolate (from cow's milk) comes in at a whopping 104! This is the primary reason that you should be ingesting, and investing in, whey protein powders mixed with milk. Coupled with its small size, the egg gives you a lot of protein for its small weight. In other words, it's protein rich and nutrient dense. Don't worry, either, about the fat or the cholesterol in eggs (if you're a healthy individual): You will not increase your body fat or cholesterol levels by ingesting several eggs a day. In fact, you could probably eat a dozen eggs a day for several weeks in a row (if not months) and not suffer any ill consequences. 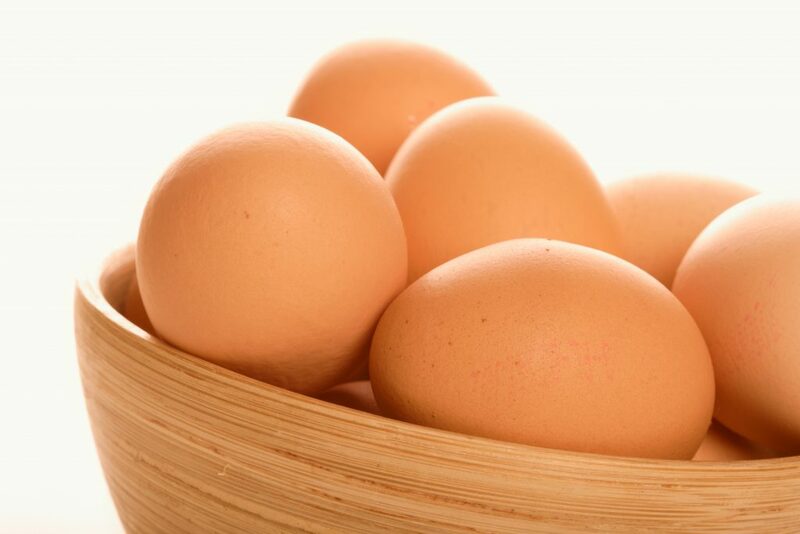 The egg is an ideal source of protein, offering all of the essential amino acids your body needs. Plus, eggs have an incredible anabolic effect on a person's body. Old timers like the late Vince Gironda used to prescribe dozens of eggs a day to his pupils during their brief (3 to 6 weeks) “bulking up” phases. This super food causes an outpouring of human growth hormone, which helps immensely in BOTH muscle-building and fat-loss efforts. In short, you will build muscle and drop bodyfat by making intelligent use of eggs in your diet. Give them a try! You'll like the results. Do you know how to hard boil the perfect egg? I subscribe to Precision Nutrition's newsletter and today, they sent me a whopper of an infographic. It gives 9 reasons why nutrition science is often confusing and misleading. I'd post the infographic here, but for some reason, it's not rendering correctly on the page. Nutrition research is still in its infancy – vitamins were discovered just about a 100 years ago. Funding goes to disease treatment – prevention gets very little funding. Conflicts of interest – if a soda company does a study on sugar's effects on health, what do you think the outcome will be? Too many variables – the scientific method requires controlling all variables and making changes to just a few. There are thousands, maybe millions of variables and nearly none of them are controllable, or even known. Nutritional studies are observational – they rely on people remembering or describing accurately what they ate a week or two ago. Measurement tools have limitations – many food labels are wrong. So how do you know how many calories you consumed? What you eat doesn't affect you right away – it could take 30 years for a six-pack of beer a day habit to ruin your liver and jack up your metabolism. A study's findings may not apply to you – many studies rely on obese people, or extremely fit athletes – because they're available for studies. The findings may not apply to you if you're just 10 pounds overweight or lead a very sedentary lifestyle. Reporting a study's findings is very difficult – if you think the research is difficult, try summarizing the findings! It's a great graphic that shows exactly why you and I are both often confused when we hear or read about the “latest & greatest” in nutrition information. Remember when whole eggs were bad for you? Now, not so much. Remember “paper or plastic” bags the grocer offered you? Now, they charge you a dime for a paper bag and plastic isn't even an option. Remember when saturated fats were bad and polyunsaturated fats were good? Today, turn that upside down.